In memory of PAUL WALKER who passed away last Saturday in a Car accident. He was riding in a Red Porsche GT about 3:30 p.m. whit his friend Roger Rodas who was driving and lost the control of the sports car and flew away from the road and slammed into a tree in Santa Clarita, authorities and witnesses said. The car burst into flames. Paul Walker and his friend Roger Rodas who passed away on Saturday. He lived his life and he died fast and furious today. He loved speed, he loved cars, and he had to die this way. 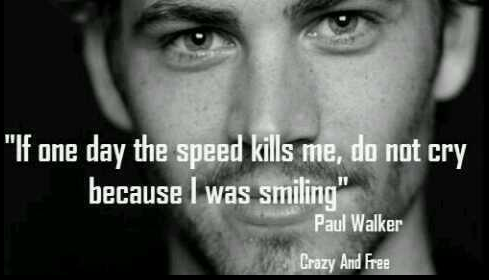 He died in a very fast car with his friend. Paul Walker will continue forever in our hearts. He lived FAST and died YOUNG. 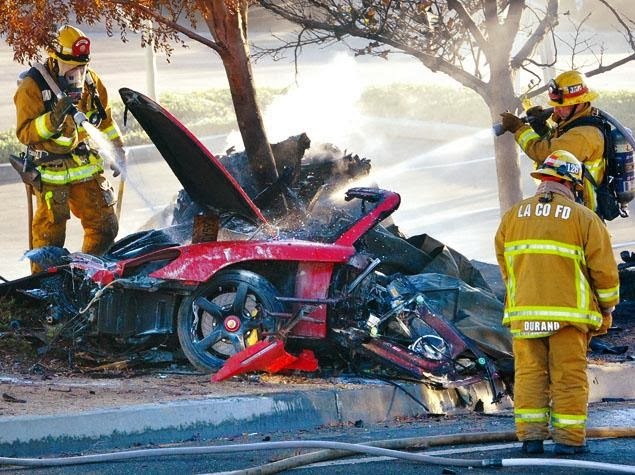 I don´t like Fast and Furious, but I admit that the accident was horrible. However, i´m sure that the saga will continue with her horrible quality. I am sure that you have never seen a Fast and Furious film but if watch the film you will love.